Queen Elizabeth II? Bye! Overwhelmed boy crawls out of room | We Seek the Truth! 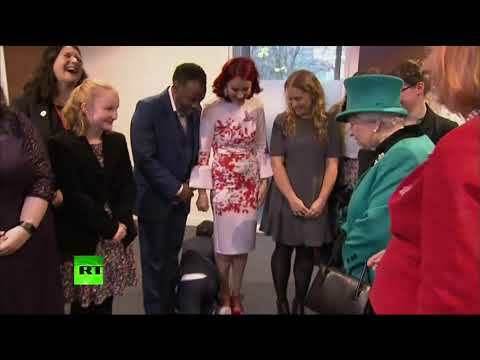 A young boy was so overwhelmed when meeting Britain’s Queen Elizabeth II that he dropped to the floor and crawled towards the nearest exit. The Queen was visiting Coram, the UK’s oldest children’s charity, in London on Wednesday.